I created a script that logs into route servers ( I used the ones found here routeserver) and checks for networks that you define. All you have to do is define the networks with edge ASN, this way it can tell you which last hop ASN it took from that route server, and you can match that to your peer’s ASN. 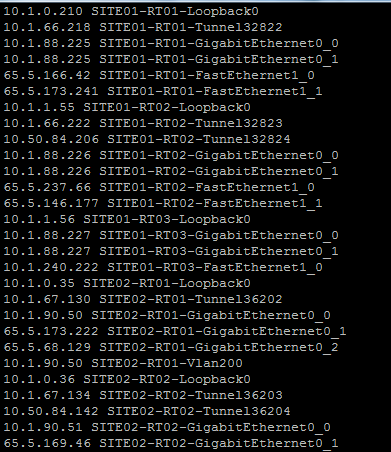 A while ago I had written a script that would logon to Cisco devices, run a traceroute from IP-A to IP-B then do the same for IP-B to IP-A. It would then query each hop with snmp and see if they worked out to be the same path. If it wasn’t, it would show you the differences. I have put it up on github.